Silver Dolphin Books, 9781684123247, 160pp. Discover Mowgli’s wild world in this beloved classic with modern illustrations! 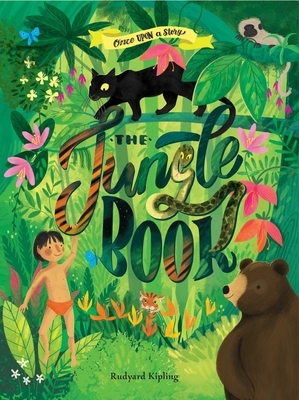 This modern classic illustrated collector’s edition of Rudyard Kipling’s celebrated tale brings a new generation of young readers into the wild spirit of Mowgli’s jungle with fresh illustrations, a ribbon bookmark, and canvas cover. Louise Pigott is an illustrator and author from Cambridge, UK. She specializes in creating vibrant, detailed, and atmospheric digital illustrations with a hand-painted feel for children’s picture books. Louise also creates artwork for the greeting card industry, and her work has been printed and sold around the world. She is inspired largely by nature, animals, and all things magical. Louise graduated with a first class honors degree in graphic design and illustration from De Montfort University, Leicester, in 2009. Her past clients have included Paperchase, Hallmark, Harper Collins, Oxford University Press, American Greetings, Bloomsbury, WHSmith, The Royal Horticultural Society, Noel Tatt, Studio Press, Capstone USA, Curious Fox, and Priddy Books, among others.